Today, the State Budget for 2017 Bill, initiated by the Government, passed the first reading in the Riigikogu. The state budget is planned to amount to 9.57 billion euro. The amount covered by the State Budget for 2017 Bill (303 SE), initiated by the Government, is 9.57 billion euro. In comparison to this year, the state budget expenditure will increase by 650 million euro, by 7.3 percent. 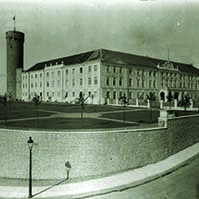 The aim is to strengthen Estonia’s security, promote economic growth, lower labour taxes, improve the welfare of low wage earners and families with children in order to support the birth of children, and to reform the state and local administration through sustainable and well-considered budget policy. The Minister pointed out that according to the estimation of the analysts of the Ministry of Finance, the economy would start to grow faster again, because the economic situation of our main trade partners Finland, Latvia and Lithuania was improving and the economy of Russia was also recovering. “This means that foreign demand will grow, and with it, also the possibilities of Estonian companies to export goods and services,” Sester said. He added that, as the incomes of the people continued to rise rapidly, consumption would also increase, and this in turn would bring about the growth of economy and tax revenue. Sester also emphasised that, next year, the state would allocate more than 0.8 percent of our gross national product to research and development. He said that state investments and the use of the European Union funds would also increase significantly, which would also support economic growth because it would bring additional funds to economy. He noted that, as a result of all this, the Estonian economy would grow by 5.2 percent when measured in euro, and by 2.5 percent when the changes in prices are taken into account. Sester explained what the state was planning to do to promote economic growth and to support entrepreneurship. The Minister said that 961 million euro of the EU and other foreign support were planned in the state budget for 2017, and 81 million euro was planned for their national co-financing. “The structural fund resources for 2014–2020 account for 60 percent, and agriculture and fisheries funds for 30 percent of the foreign support,” he added. He pointed out that state investments would also grow with the help of EU funds in 2017. The Minister emphasised that these were funds that would help make investments supporting economic growth without taking a loan. The Minister noted that, according to the forecasts of the Ministry of Finance, the average salary would increase by 5.5 percent in 2017. “That such a growth of salary is realistic, and not taken from the air, is proven for example by the fact that the social tax paid on salaries will increase by nearly 6.7 percent this year. Together with the salaries, our pensions will also increase, and thus the pensioners will also benefit from the economic growth,” Sester said. He also brought out several reasons for the rapid salary growth. “But we have to remember that if the level of salaries in our country is increasing too fast, it will undermine the competitiveness of our enterprises and the jobs of people. Therefore, we have agreed in the Government that our salary policy is conservative,” the Minister added. Sester said that, in this budget, the budgets of nearly all areas of government would increase, and only in some cases would there be a small decrease because of the termination of some larger investment. He said that the benefits to large families would grow in order to increase the welfare of families with children and to increase the birth rate. The Minister pointed out that it would also be possible to receive child care allowance and single parent’s allowance. He noted that the soon-to-be-launched maintenance allowance fund would ensure that the child would get at least part of the unpaid allowance. “When a new citizen of the world is born to a family, the state also pays parental benefit,” he said. Sester said that when the incomes of a family are too small, the state will come to help by offering subsistence benefit. “Besides that, there is also the needs-based family benefit for low-income families with children,” the Minister stated. As regards the pensions, he pointed out that they would grow together with the salaries. “Altogether 1.67 billion euro have been planned for pensions in the budget. The average old age pension will increase by 20 euro, to 416 euro, and will remain exempt from tax also in the future,” he said. “Next year, the state will pay additional support of 115 euro per month to the pensioners who are living alone,” Sester added. According to Sester, the possibilities of the Estonian Health Insurance Fund will grow by 66 million euro, to 1.09 billion euro, because the salaries and the receipt of social tax paid on salaries will grow. He pointed out that the tax changes would not influence the revenue of the Health Insurance Fund. The Minister pointed out that the income tax receipts of the local governments would altogether increase to 952 million euro. He said that local governments investments would nearly double next year. In his speech, the Minister also spoke of several state investments. Sester said that defence spending is at least two per cent of the gross domestic product. “In fact we are even exceeding it, because we have agreed that the expenses related to hosting the allies will be added to that target,” the Minister said. He said that the national defence expenses would grow together with the economy and would amount to 477 million euro in 2017. The Minister said that additional 26 million euro have been planned in the budget for receiving the allied forces. “In 2017, we will also assign finances to the area of government of the Ministry of the Interior for developing the rapid reaction capability and for construction of the eastern border,” the Minister said. In his opinion, this budget will give the ministers more freedom than before to make decisions on how to use the taxpayers’ money that has been entrusted to them in the best way for making the life of people in Estonia better also next year. “We are planning a structural surplus of the government sector budget in the amount of 0.2 percent of GDP for next year. This means that the public finances will be in good order also at the end of 2017,” Sester pointed out. The Chairman of the Finance Committee Remo Holsmer gave an overview of the discussions that had been held in the Committee. In his speech, he highlighted once more the priorities of the budget that the budget is taking into account, and which expenditures are covered and which expenditures have been planned. “In summary, the budget is supporting economic growth, looking into the future and taking into account structural reforms with a long-term impact – I mean particularly the work ability reform and the administrative reform,” the Chairman of the Committee said. Holsmer pointed out the decision of the committee to move to conclude the first reading of the Bill. The representatives of factions took the floor during the debate. They presented their positions on next year’s state budget. Kadri Simson from the Centre Party Faction pointed out the issue of tax rises. “The Government speaks of reduction of social tax, but they comfortably forget to mention that next year will also bring about a number of tax rises, and this time another 10% rise in fuel duty, but also a rise in the VAT for accommodation providers and other excise duty rises.” Simson said that, in connection with next year’s budget, salary rises and enterprise were also important issues. “Differently from the Government, the opposition cannot submit its motions to amend the budget with a resulting deficit in the state budget. The Government has presented us a budget where expenditure exceeds revenue, but every motion by the opposition must have a specific source to cover it, and we proceed from that,” the speaker said. Andres Herkel from the Free Party Faction called the budget a budget of swaying. “Salary boom and domestic consumption still go on, and it sways on them, and it does not yet show that the economy is not growing at the speed we would like. Indeed, this growth has practically ceased,” he said. “Yes, the Government is trying to make little bows to various parties, some kind of minor changes, small benefits. I think that, in general, this budget bears the imprint of diligent officials rather than a political imprint, because there is no vision here,” Herkel said. „And I confirm that the tax structure that is the basis for this budget is in no way what suits the Free Party. Especially not what is going on with excise duties, especially with the rise in fuel duty. This package of amendments that was passed with a “cluster Act” is everything else but the basis for a budget of economic growth which is being spoken about so much here,” Herkel pointed out. 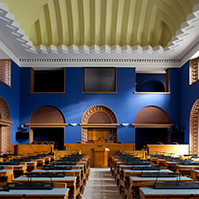 Martin Helme from the Conservative People’s Party Faction said that the volume of the budget was growing because taxes would grow in Estonia next year. „As I have said earlier, in connection with the growth of taxes and the growth of receipts, our state keeps growing constantly and the budget keeps growing constantly,” he said. Helme pointed out that priorities are totally out of order in some parts. “And expenses are badly structured within the fields – in particular, I would highlight separately both education and national defence,” he said. “There is a field that has actually been seriously neglected, namely, the field of internal security,” the speaker added. Aivar Sõerd from the Reform Party Faction said that money for increasing family benefits, growth of pensions and increasing other state budget expenditures can only come from a growing economy. “Our economic growth has not been sufficiently rapid in recent years. However, the growth of GDP reaching 2.5% next year is still a considerable growth when looking at the current economic development of Europe and the rest of the world,” he said. “The state budget can contribute to the economic development also with investments. Most important in this connection are large infrastructure projects in Tallinn, and road construction works and other projects in various places in Estonia that will be launched next year,” he said. 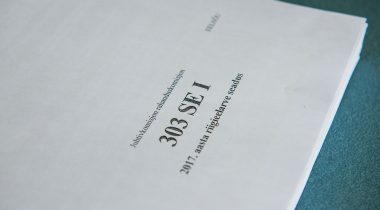 Sõerd said that the budget plan would allow to carry out important activities and to fund spheres as a result of which security would increase, the people’s feeling of security would increase, the welfare and sense of confidence of families would improve, and economy would also get a new boost. Kalvi Kõva from the Social Democratic Party Faction said that this budget is particularly focused on the social groups who cannot cope on their own and who need support. Kõva pointed out that all the benefits that are directed to less secured families would return to our domestic consumption. „Certainly, this is the beginning of a number of great “reforms”. Certainly, we hope that there will be greater benefits for families and children, and other developments will continue,” Kõva said. He pointed out that, in the opinion of Social Democrats, it was possible to go on with this budget. Priit Sibul from the Pro Patria and Res Publica Union Faction said that, taking into account our birth rate and the imminent development trends, in view of demography, the attention of the society will have to focus on families with children. “In my view, benefits to families with children are not merely expenditure but an investment in the future,” he pointed out. “In our opinion, it is important that a person should work, rather than be a burden for the social system of the state for economic considerations just because benefits are on the same scale with the low wages. The tax refund which will be implemented next year should motivate people more to move towards the labour market rather than depend on the social system. There will be at least one additional argument for arranging one’s life. Together with the raising of the basic exemption rate and the lowering of social tax, this means lowering of labour taxes which is a small but firm step in the right direction,” Sibul said. The deadline for submission of motions to amend is 9 November. The Act on Amendments to the Value Added Tax Act (276 SE), initiated by the Government, increases the threshold for taxable turnover in excess of which the person engaged in business is required to be identified for VAT purposes and to supplement the list of goods subject to special arrangements for VAT – the reverse charge. During the debate, Kalvi Kõva from the Social Democratic Party Faction and Priit Sibul from the Pro Patria and Res Publica Union Faction took the floor. 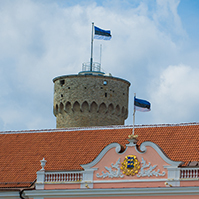 The Act on Amendments to the Foreign Service Act (241 SE), initiated by the Government, amends the Foreign Service Act in connection with the performance of the task of the Presidency of the Council of the European Union by Estonia. The aim of the amendments is to simplify the appointments of staff related to the presidency of the EU and to reduce the workload connected with it, to enable smooth and operative posting of public servants to posts related to the presidency of the EU, and to clarify the current regulation. Current Act does not allow for the flexibility needed for the presidency of the EU Council, and operative processing of documents relating to postings under conditions of increased workload. The Act will allow also the Government Office to post specialist diplomats on the basis of the Foreign Service Act in the future. The amendment is connected with the performance of the tasks related to the presidency of the EU which will increase the number of officials posted from the Government Office. The Act creates the possibility of employing specialist diplomats in foreign service also when English is the only foreign language they speak. At present, the requirement is two foreign languages, one of which is English or French. A specialist diplomat is a specialist in a particular field whose most important asset is their specialist knowledge. The amendment is necessary because the requirement of two foreign languages is an obstacle to posting competent specialists as specialist diplomats. 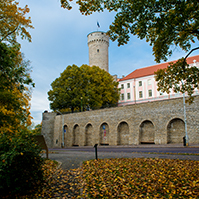 According to the Act on the Ratification of the Paris Agreement (310 SE), initiated by the Government, Estonia ratifies the Paris Agreement on the reduction of global greenhouse gas emissions. Estonia has set itself the aim to ratify the Paris Agreement by the climate conference due to be held in Marrakesh in November. The main aim of the agreement is to hold the increase in the global average temperature to well below 2 °C above pre-industrial levels. For that, countries committed to significantly reduce their greenhouse gas emissions. Among other things, the Paris Agreement sets binding greenhouse gas reduction targets and a reporting system, and provides a dynamic mechanism to take stock and strengthen ambition over time, as well as financing activities related to climate change, and a long-term plan for adaptation to climate change. The climate agreement was adopted by 195 country-participants in the 21st Conference of the Parties to the UN Framework Convention on Climate Change held in Paris in October last year. The Agreement will enter into force on the thirtieth day after the date on which at least 55 Parties to the Convention accounting in total for at least an estimated 55 percent of the total global greenhouse gas emissions have deposited their instruments of ratification, acceptance, approval or accession. The Act on Amendments to the European Union Common Agricultural Policy Implementation Act (249 SE), initiated by the Government, brings the European Union Common Agricultural Policy Implementation Act into conformity with the specified requirements of the European Union and the amendments made to launch the new organic farming funding period 2014–2020. The Act will also be amended by adding provisions in connection with changing the activities carried out with the rural development plan supports, termination of the implementation of the milk production quota, and field book. The Bill will simplify the changing of the activities carried out with the supports of the Estonian Rural Development Plan 2014–2020, and provide for the cases when activities may be changed without losing the support. In the case when an agricultural producer has failed to pay the surplus levy for milk production by the due date, the Estonian Agricultural Registers and Information Board will have the right to set it off with the supports paid to the agricultural producer. Persons engaged in agriculture will have to enter also the data set out in the conditions for receiving the support, in addition to the data required by the Water Act, into the field book. For example, data concerning the taking of soil samples and the results of analyses thereof, monitoring of plant pests, crop varieties grown, etc. It is information that in most cases is already entered into the field book. The amendment is necessary in order to ensure more effective checking of the requirements for receiving the environmental payments given within the framework of the Estonian Rural Development Plan 2014–2020, as well as organic farming payment. For the second reading, the Bill was amended by adding provisions under which the school milk aid and the school fruit and vegetable aid will be replaced with the school scheme aid arising from the relevant European Union legislation. The Act on Amendments to the Organic Farming Act (282 SE), initiated by the Government. The aim of the amendment is to take increasingly more products to the consumer labelled as organic, and to facilitate the consumption of organic food and increasingly wider use of organic raw materials in mass catering operations. The Bill will provide for the possibility to refer to organic raw materials through a mark developed specifically for caterers. There will be possibility to indicate the percentage of organic raw materials within three ranges: over 20 to 50 per cent of raw material is organic; over 50 to 80 per cent of raw material is organic; over 80 to 100 per cent of raw material is organic. It will be possible to calculate the range on the basis of the quantity or the cost of the agricultural products brought for preparation of food to the enterprise in the previous month. Data will be obtained from the accounting records of the enterprise. Caterers will be given the possibility to decide for themselves whether the quantity or the cost of the products will be taken as the basis for calculating the percentage. The current Act allows use of the national ecolabel in mass catering operations if at least 95% of the raw material used originates from organic farming, but this is difficult to comply with in many enterprises. The Investment Funds Bill (297 SE), initiated by the Government, will make the Estonian funds market more attractive and facilitate competition in the pension fund market. The Bill will facilitate the entry of new pension management companies in the market, and make the exchange of the units of a pension fund significantly cheaper for the people. Priit Sibul from the Pro Patria and Res Publica Union Faction took the floor during the debate. 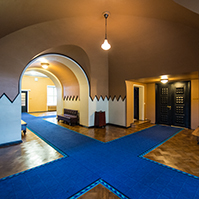 The aim of the Bill on Amendments to § 9 of the Administrative Reform Act (273 SE), initiated by members of the Riigikogu Jüri Adams, Monika Haukanõmm, Krista Aru, Andres Herkel, Ain Lutsepp and Külliki Kübarsepp, was to create possibilities for a mutual merger of parts of Setumaa. During the debate, Peeter Ernits from the Centre Party Faction, Mark Soosaar from the Social Democratic Party Faction, Andres Herkel from the Free Party Faction and Mart Helme from the Conservative People’s Party Faction took the floor. The lead committee moved to reject the Bill at the first reading. 41 members of the Riigikogu voted in favour of the motion, 28 were against, and there were no abstentions. Thus the Bill was dropped from the proceedings. 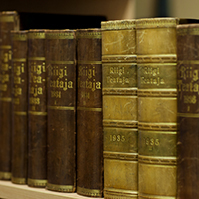 The Bill on Amendments to the Administrative Reform Act (274 SE), initiated by member of the Riigikogu Mark Soosaar, provided for giving the Government a greater right of discretion in fulfilment of the local governments merger criteria. During the debate, Anneli Ott from the Centre Party Faction, Jüri Adams from the Free Party Faction and Mark Soosaar from the Social Democratic Party Faction took the floor. 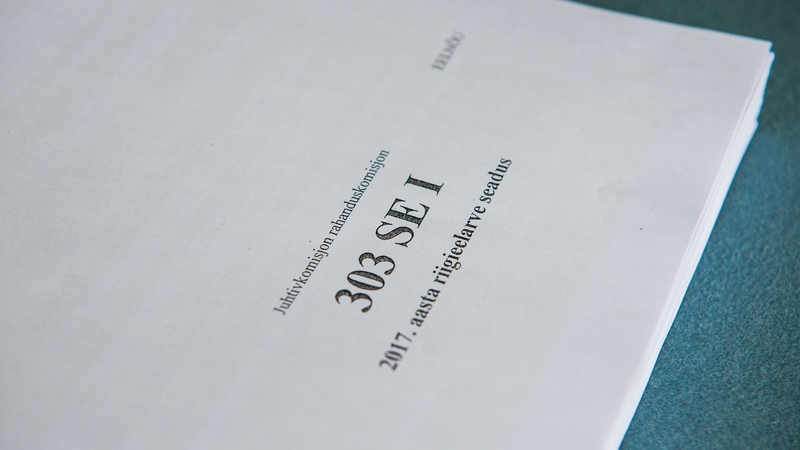 The initiator of the Bill Mark Soosaar wished to withdraw the Bill from the Riigikogu proceedings according to § 95 of the Riigikogu Rules of Procedure and Internal Rules Act. The Bill was withdrawn from the proceedings.